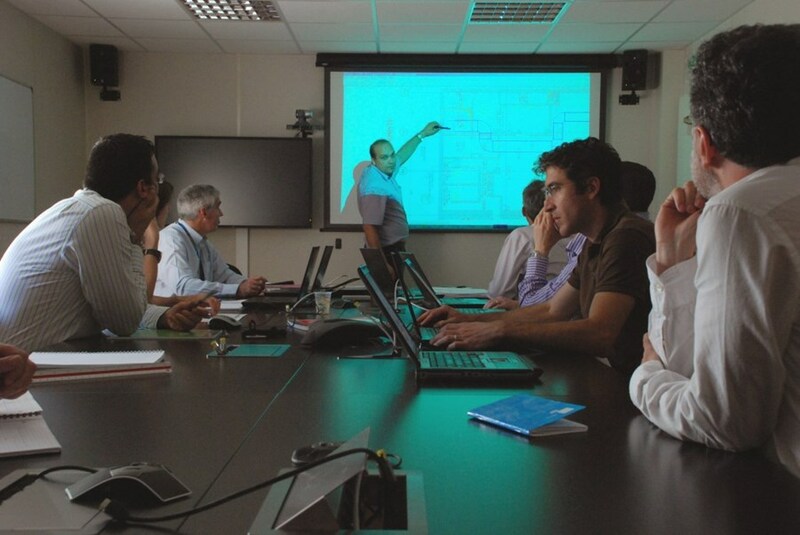 Members of the newly established Task Force double-checking the design of the Tokamak Building basement. When building a house, you will, at one stage, have to decide where to place the kitchen and the bathroom in order to allow the architect to make provision for the required installations such as pipes and electrical cables. 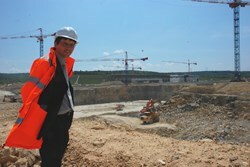 The same holds for an installation like ITER. The only difference between your house and the largest fusion research facility ever built is the fact that if you change your plans, this might have a more or less severe impact on your construction budget—and on the formerly good relationship you had with your architect—but change will be possible. In ITER it will not! "We have made provision for about 1,600 penetrations in the walls of the Tokamak Building," explains Ken Blackler, Head of the Assembly and Operations Division. "And that is it. Drilling additional holes through two-metre-thick reinforced concrete walls at a later stage will not be an option." 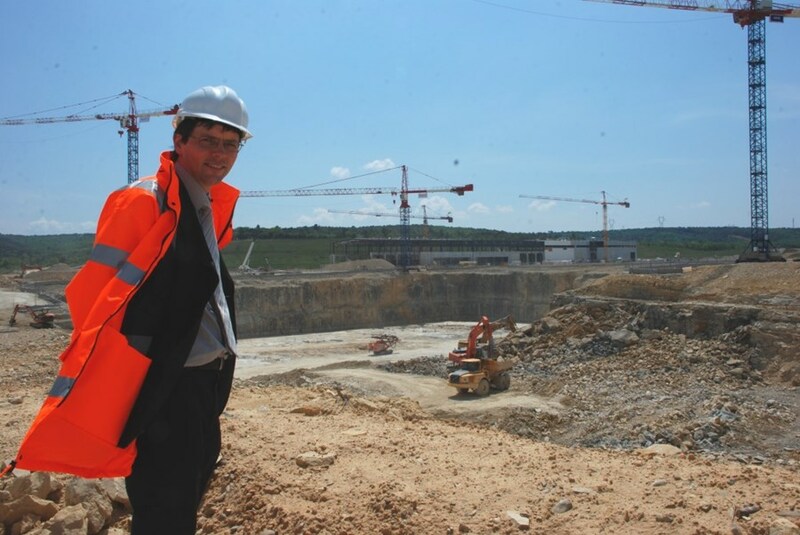 A Building Integration Task Force was created in April this year in order to make sure that all the systems to be installed in the Tokamak Building, and in the adjacent Diagnostic and Tritium buildings, are correctly defined in the overall master plan. This includes all the necessary pipes, ducts, structures, cable trays, penetrations and embedded plates. Thirty-five people have been diverted from their usual jobs to form this Task Force, which demonstrates the seriousness of the exercise. "We have to freeze the design now in order to proceed with the construction with confidence,"explains Ken. "But before we do so, we are going through the buildings one final time, floor by floor, to see if everything has been included ... if nothing has been left out." On Monday this week, the Task Force passed its first Design Integration Review for the lowest basement level of the buildings. At this meeting Responsible Officers presented the design status of each system in order to allow the review panel to assess the level of design and its integration into the building. All outstanding actions will now be completed before the data is transferred to the Architect Engineer at the end of this month in order to begin construction design in June. This Design Integration Review process will now be repeated, one floor each month, and hopefully by December we will have reached the top floor.